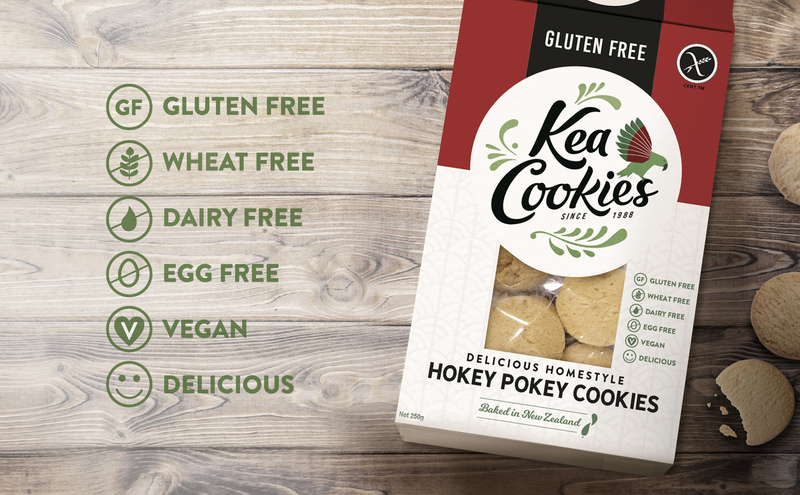 Great tasting gluten, dairy, wheat and egg free Kea Cookies. 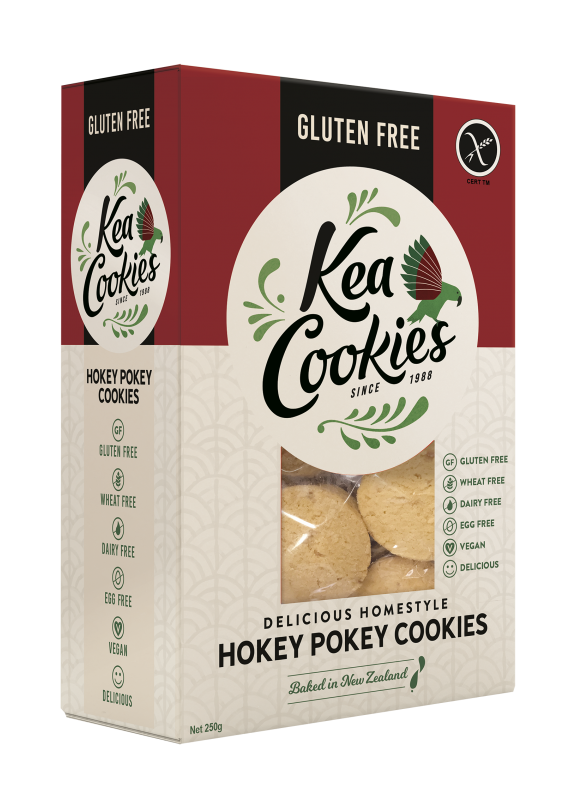 Great tasting gluten, wheat, dairy and egg free Hokey Pokey cookies. 8 packs of Hokey Pokey Cookies. Gluten, dairy(milk), wheat and egg free. Made in New Zealand since 1988. 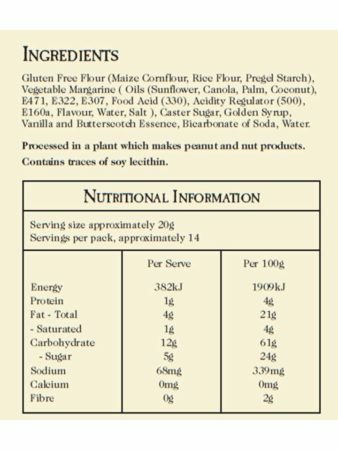 Processed in a plant which makes peanut and nut products.